news The chair of the competition regulator has repeated his view that the NBN company should ultimately be broken up into chunks that would compete with each other, in comments that appear to run directly contrary to the complementary network design model currently being pursued by the company. Speaking to the Australian Communications Consumer Action Network Conference in Sydney this morning (see his speech here), ACCC chairman Rod Sims said that in telecommunications markets, the ‘gold standard’ for developing healthy competition between different players was infrastructure-based competition. Infrastructure-based competition focuses on the idea that different telcos would build their own networks rather than deploying services on top of networks belonging to other companies. “Where this is efficient – often in highly populated areas – it leads to the best outcomes in terms of prices and quality of services for consumers,” Sims said. Infrastructure-based competition has worked well in Australia’s movile market, with Telstra, Optus and Vodafone all owning at least some of their own infrastructure locally. However, up until now, Australia has seen relatively low levels of infrastructure-based competition in the fixed telecommunications market, compared with some other countries. In a number of other first-world countries throughout Europe and the Americas, traditional copper-based telephone networks have been overbuilt by HFC cable networks. This has meant that customers are able to choose between different styles of broadband and telephone services at their premises. A good example would be the UK, where incumbent telco BT is upgrading its copper-based network with Fibre to the Node technology, to compete with HFC cable player Virgin Media. Customers have a choice of broadband technologies. However, in Australia this model has largely failed, due to the fact that neither the ACCC nor the Federal Government took action to restrain incumbent telco Telstra from deploying its own HFC cable network in competition with the HFC cable network deployed by Optus in the late 1990’s and early 2000’s. This dual deployment meant that Optus rapidly stopped investing in its HFC cable network, leaving Telstra with strong control of both types of platforms. The NBN policy first developed under Labor and now continued (in a heavily modified form) under the Coalition will see a switch away from the infrastructure-based competition model and towards a unified model, where retail telcos such as Telstra, Optus and TPG will all use the fibre, copper, HFC cable, satellite and fixed wireless infrastructure provided by the NBN company to provide their own services over the top. These different networks are viewed as complementary. The NBN company, for example, is not planning to upgrade Telstra’s copper network in areas where the HFC cable networks it is buying from Telstra and Optus already exist. However, in his speech this morning, Sims said as Australia headed into the “NBN world”, he wanted to continue to advocate for infrastructure-based competition. “I am on the record as an advocate for NBN Co putting in place measures that will facilitate future infrastructure-based competition,” he said. Such a model could mean, for example, that the NBN company could be separated out into a number of different companies. One could sell services over the HFC cable networks, one over Fibre to the Premise or Fibre to the Node networks, still others through the satellite and wireless networks, for example. However, Sims did not address the issue of whether this would lead to actual infrastructure-based competition between these slices of the NBN company. Currently, the company’s plans do not include overbuilding its own networks. This would mean, for example, that the NBN company selling HFC cable would enjoy a monopoly over local infrastructure in its market, the fixed wireless NBN company would enjoy a monopoly in its own market and so on. It’s not the first time Sims has made similar comments — for example, in November 2014 he expressed a similar view. Sims also addressed other aspects of Australia’s telecommunications market in his speech — including the ACCC’s decision to approve TPG’s acquisition of rival broadband player iiNet, the gradual downward trend in pricing and issues relating to competition in Australia’s media sector — including the emerging Internet television streaming sector. You can read the full speech online. Opinion/analysis to be posted separately. The issue there was that neither the ACCC nor the Government restrained Telstra from overbuilding the Optus HFC network. If they had, we’d have a much more competitive broadband market today. Bingo. Its hard to compete with the 800lb gorilla, when they aren’t restrained from using their market dominance to crush the competition. Well Telstra still owns the fibre that the HFC is still connected to good luck trying to find a buyer other than Telstra with that mess. Well what else are they going to spend their $11bn handout from the NBN deal on? If you can’t overbuild, how do you have competition? What parts of the NBN could be broken up? It’s purely a network layer company, there is nothing to break apart! Also why is the NBN buying the inferior Optus HFC network anyway – it duplicates most of the far superior Telstra HFC in most areas, so there is pretty much nothing to gain, and all it will mean is the NBN is paying twice (or more) for the same infrastructure, and they will probably have to decommission the Optus HFC network anyway. Would be cheaper than paying to maintain an expensive duplication!! 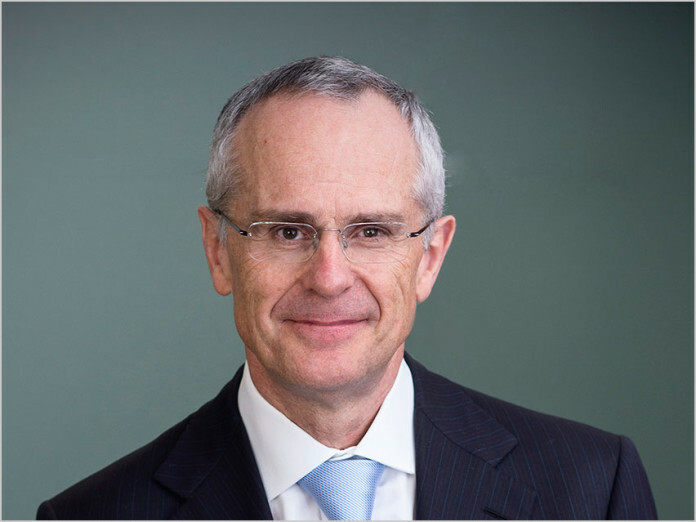 Rod Sims really need to catch up on his history, because infrastructure competition did not work well for Australia for the Telstra/Optus Cable Wars. It appears (and apologies if I’m reading this wrong) he’s trying to describe the utopia of infrastructure competition so granular, that new entrants will be able to have the typical Aussie “fair go” at starting up and competing fairly in smaller geographic areas, and being able to spread to other geographic areas. While that idea is sound in principle, he hasn’t addressed the elephants in the room, Telstra, and to a lesser degree, Optus. How do you level the playing field for infrastructure based competition, when through various initiatives (like bundling with mobile services) Telstra can simply undercut you by leveraging other infrastructure markets the new or even existing entrants don’t have a presence in? infrastructure competition certainly hasnt worked in the US either; where many regions are effectively fiefdoms to the controlling entity. there are few areas where you have three options for service; a little more for two and the rest is single service offering only – noone has the money or inclination to move into an area against that areas incumbent. it leads to a very stagnant market. i think looking around there are clear examples that infrastructure competition needs to be trammelled very carefully if it ever is to work. Certainly, when you consider what it costs to make a network ‘profitable’ most areas in Australia cant sustain two networks anyway – telecommunications really does fall into the ‘natural monopoly’ mode here. the model NBN was originally created with – build the underpinnings that everyone has access to and let them compete for the customer market over it – was and remains most appropriate for Australia. it removes (800lb gorilla) distortions of the market and allows broad choice of providers at the consumer level – the company with the best service should win? Sims is wrong here, and the competitive framework shouldnt be messed with. (BTW not to say it is perfect: there are caveats to that – accessibility to the POIs for minnows is problematical and has reduced that broad choice to consumers. but in the main, the framework is correct as it is). Clearly Rod Simms slept through his economics classes that covered natural monopolies! I’ve never seen any credible economic analysis that demonstrates that “infrastructure competition” delivers any net benefit over a well-regulated monopoly. And all signs point to the exact opposite – where duplicate infrastructure is built, costs are higher, charges are higher, and the companies building the infrastructure have zero incentive to provide any service at all to “non-profitable” areas. The whole point of the original NBN concept was to create a monopoly, that would deliver a high level of service to *all* customers. No private company is going to do that unless the government pays them to, and then you might as well have a government-owned enterprise building it, because the taxpayers then don’t have to pay for corporate profit margins on top of the cost of the infrastructure. But, no, that’s anathema in these days of privatisation, where it seems the creed of both major parties is that the government should *never* do anything that a private company can do for a profit. Exactly, duplicating Capex and Opex on the scale required for servicing this nations Comms needs would be utterly wasteful and only drive costs up. The problem is that no one wants to compete at the access layer. The margins are wafer-thin and the ROI time-frames are beyond the realms of comprehensive of most share-holders. History has made it abundantly clear, all over the planet, that the only way the access layer is commercially viable is to use it as a tool to capture the richer pickings of connectivity and services. That is, monopolies or cosy duopolies. What we desperately need is competition at the connectivity and services layer. This is where all the future money is to be made by RSPs. This is where service providers can invest with viable ROI time-frames. This is where consumers will spend the most and thus reap the most benefit from competition. These are the markets that are currently stifled and uncompetitive because of coupling to the access layer. The huge problem with infrastructure competition is that it *may* add a tiny level of benefit to consumers but it risks stifling (or continuing to stifle) the booming markets of connectivity and services. So yes, natural monopolies are less efficient than a competitive marketplace. But if that natural monopoly enables a much larger, growing competitive marketplace in connectivity and services then it is a rationale price to pay. The NBN isn’t the end. It’s a means to an end. Completely agree with your point here. When was the last time a new competitor entered the mobile market with their own infrastructure? And when is the next one likely? What we have is another cosy duopoly. Anyone who argues it’s not cosy need only look at the profits that Telstra and Optus are reporting from their mobile business. It it was fierce competition the margins would be razor thin. They are anything but that. Actually if you need regional coverage, you are pretty much stuck with Telstra, which means a lot of corporate work goes their way. I work in a site based company. Moving to another carrier is simply not an option in regional areas. Sounds nice and cosy to me. Jeff Kennett tried that with our Tram and Train networks, complete failure. Every time they bring up this split it up and let them compete argument I have yet to see how they are competing. NBN Co are only rolling out one technology to each household (if you exclude happening to have wireless NBN close enough). How does FTTH compete with FTTN? It’s not like the customer has a choice between the two. I see you mention it Renai, but the competition discussion seems to totally ignore this bloody obvious point. The chair of the competition regulator has repeated his view that the NBN company should ultimately be broken up into chunks that would compete with each other, …. What the ….? Exactly how would chunks of NBN company compete with each other? Chunks of ADSL compete with FTTP? Or even with HFC or wireless, or satellite? This is inane commentary by the ACCC and appears to be nothing more than an organization wrapped in it’s own ideological and operating criteria to the exclusion of reality. I have been asking for years for an explanation as to the financial benefits of competition in a high cost, geographically diverse infrastructure such as fixed line telco. And I am yet to obtain a response that makes sense in financial terms. Surely the ACCC can provide logical argument as to how competition of fixed line infrastructure will lead to increased benefits, and more specifically to whom? Will any readers of this post take up the challenge? Please? I am of the belief that a single provider of fixed line infrastructure, controlled by the Govt to ensure the lowest costs to consumers is the most cost effective and productive policy. However I suspect that under the current Govt, the ACCC is leaning to the ‘benefit of business’ as opposed to the ‘benefit of consumers’ in executing it’s brief. And that ultimately it will be consumers and the nation who pay the cost. I totally agree and I have yet to hear a good reason why wireless was not included in the NBN infrastructure. What I mean is why do we have multiple companies able to provide their own 3G/4G networks? To me this should all be part of NBN, otherwise we are truly wasting our resources and adding cost to the network. Imagine if you could use your phone anywhere in Australia, no matter which retailer you used!! I am tired of Telstra being the only option if you want a phone to work out in woop woop. We have truly entered the era of the idiot ideolog. In 10 years or so, people are going to be climbing over each other to get access to fibre. Due to their various inadequacies, all other broadband delivery systems will have fallen by the wayside, just like dial-up. The only people still using HFC and FTTN will be those with no choice (thanks Mal). Even if they were available as competing infrastructure, who in their right mind would choose FTTN over fibre, or HFC over fibre? Despite what the technologically illiterate might believe, they aren’t interchangeable. They provide vastly different levels of service. So unless you want to install a fibre NBN, then start again and install another fibre NBN, then start again and install another fibre NBN, just where does this so-called infrastructure competition come from? The last time the ACCC came up with a “competition” brainstorm, it gave us 121 POIs. Look how that turned out. The issue for BT was that the possibility of competition put the cost of the commercial risk of FTTP too high to be able to profit. Why when I come to the ‘new country’ are we not learning from the old? infrastructure competition will only put off FTTP and the utility that it would offer to the nation. Customers don’t want a choice of fixed line technology. They want a choice of services and no limits. Copper will always be a juggling act between speed, error rates, and how close you need to get active plant to the end point. No body thinks infrastructure competition for water pipes would be a good use of the nations resource or lead to better services. it is the job of government to make choices about where competition brings net benefits and where recognising and regulating a natural monopoly is in the national interest. Rolling out FTTP is a huge and risky investment outside a few square km in CBDs . Its proper that it is regulated as a monopoly so that the nation can gain from the utility that it offers at reasonable cost. The ACCC made a very serious mistake when it gave in to the lobbying of the big telcos to increase the number of POIs (points of interconnect to the NBN) from 14 to 121. By allowing this to happen the ACCC shut the door on anyone other than the big telcos using the NBN for their specific digital services. In other words to deliver national services organisations such Woolworths, Australia Post, Google, Myer and Medicare would have to build their own connections to these POIs in order to deliver digital services to their customers. None of them would be able to build a network to all of those 121 points, and they are forced to use the telcos as the middlemen to get access to this new digital infrastructure. Such has been the result of the clever lobbying carried out by the big telcos back in 2010. Seems to be a bit of hypocrisy going on here. Sims allowed the buyout of iiNet by TPG, both companies who had invested heavily in their own infrastructure and provided infrastructure competition where possible, thus reducing the amount of infrastructure competition. Now he is saying NBN Co should be split to compete against itself because infrastructure competition is the holy grail. Doesnt seem there is much consistency, especially when you cast that in the light of the NBN PoI decision that lessens competition due to the amount of investment now required in infrastructure to service over 120 PoIs. The idea of Infrastructure-based competition doesn’t work. Because populated areas get looked after and the outer fridges get nothing – who are generally the new and upcoming generation and poorer people. Then we will cry how poor the service is. I’d rather have one fixed wholesale only network, where the cost is shared over the entire user-base, that way, both the fringe and populated areas BOTH get looked after. We should have competing infrastructure for water and sewage. My sh** is cheaper than yours!! The ACCC still believes Infrastructure Competition will fix everything. How quaint. This from the same bunch of boffins who figured 121 POI would somehow result in a better competition outcome, approved the TPG buyout of rival iiNet because that will clearly result in better competition outcome, and a litany of other decisions that make one quite question if they are being ironic on purpose, or ‘for the lulz’. I’m not for a moment suggesting that this is, was, or has ever been a simple space to regulate. But the ACCC seems singularly determined to continue to foster a competition model that doesn’t functionally exist, hasn’t in some time, all whilst simultaneously allowing the industry to eat itself, who are apparently trying to survive the very outcomes of the same decisions. I don’t think they (the ACCC) are actually adding anything of value to the current situation, or even remotely relevant.